Color Options: Standard black/silver or design your own & the choices are endless! “Running moccasin” is not a phrase I thought would ever enter my vocabulary, but when I first spotted the Soft Star RunAmoc DASH, I knew it was something I would have to check out. 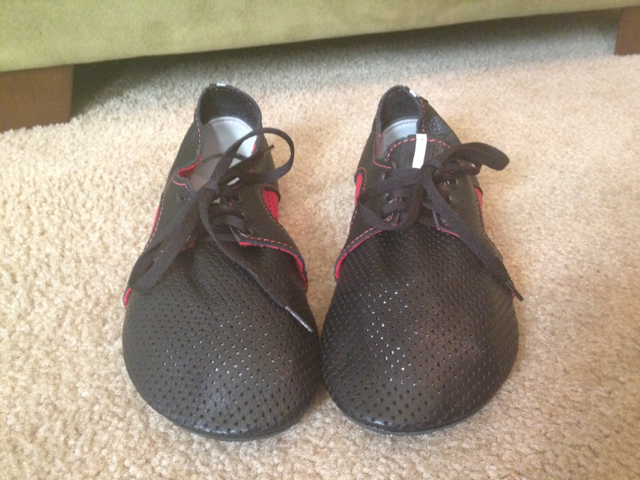 To be sure, the DASH RunAmoc is an unusual-looking running shoe, even in the minimalist world. The best analogy that I can think of to describe the shoes is that they are like a pair of huaraches with a leather sock attached to them. Over the past couple weeks, I’ve had the opportunity to test a pair of DASH RunAmocs LITE with a 2 mm-thick street sole, where LITE refers to the fact that the leather vamp (the part of the shoe that holds it to your foot) has small ventilation holes punched into it. Overall, the DASH RunAmoc is a comfortable, well-made shoe that feels great to run in. If you are a huarache fan and want something a little more substantial for winter, are interested in buying products made and designed in the USA, and/or you like to be able to customize the color of your shoes, the DASH RunAmoc would be a great option for you. The DASH RunAmoc might be a little strange-looking, but it is a dream to run in. This shoe has to have one of the widest, if not the widest, toe-boxes of all of the close-toed minimalist shoes out there. In addition, the leather used in the vamp is very soft, so it does not provide much, if any, resistance to the movement of your feet. This means that your toes have just as much freedom to splay out as they would, for example, in a pair of huaraches or if you were really barefoot. For the sake of comparison, the toe boxes of both the New Balance Minimus and Merrell Barefoot Pace Glove feel significantly narrower. With the 2 mm-thick street sole, the DASH RunAmoc is also very light, so the weight is barely noticeable on your foot when you run. The only issue I had with the performance of this shoe is that the regular width sole is cut unusually wide under the middle of the foot and the heel. Even after cinching the laces a bit tighter than I normally would on a shoe, my feet still have quite a bit of room to move around. This lead to a couple hot spots forming and some uncomfortable rubbing taking place on the soles of my feet when I was running, which I think would’ve been solved by making the middle part and heel of the sole more snug. 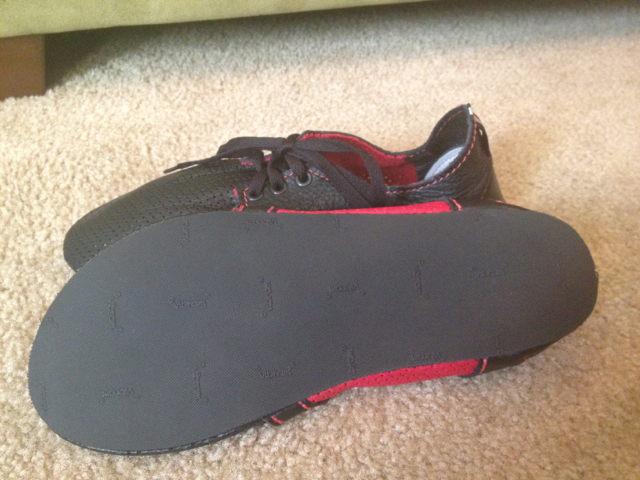 The sole is available in three widths: regular, narrow, and wide. I have slightly narrower feet than the average person, but I typically don’t have to go with a narrow width shoe, especially now that I’ve switched to minimalist shoes and my forefoot has widened slightly. If you are thinking of ordering a pair and have feet that are also a bit narrow, I would recommend going with the narrow sole. The 2-mm sole, while stiffer than you might expect, is still very flexible. The quality of the materials used to construct the DASH RunAmoc is one of its greatest strengths. 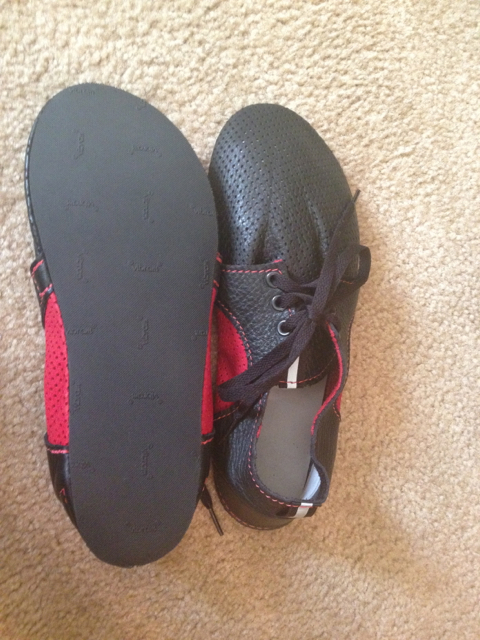 For such a floppy shoe, it feels very well constructed. My only concern about its durability is the fact that the vamp appears to just be glued to the sole, not stitched, so I would be worried that exposing it to much wetness would break down the glue, causing the sole to fall off. The leather used to create the vamp is very soft and supple, so it feels great against either your bare skin or with socks. The inside of the sole also has a thin liner of leather, so your foot is not directly against the rubber of the sole as it would be with some huaraches. 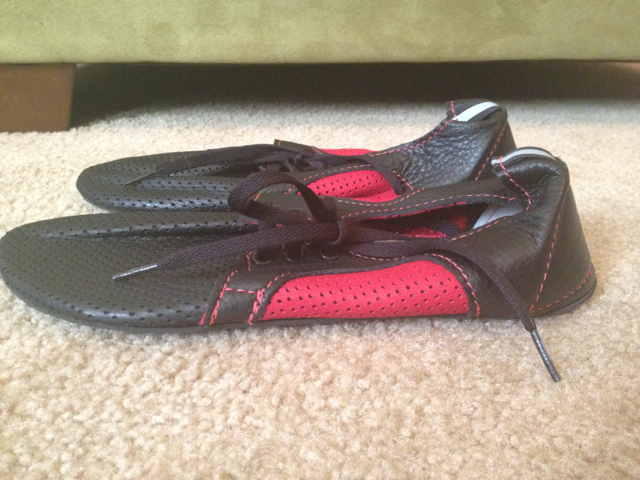 I was initially a little skeptical about encasing my foot in leather to run, but the ventilation holes punched into the leather vamp allow for maximum breathability of the shoe. My foot never once felt too warm or too clammy while running. One thing to note is that because natural dyes are used to color the leather in these shoes, sweat from your feet will cause some of that dye to transfer to your socks for your first few runs. Soft Star warns you about this in the information that comes with the shoe, though, so you’ll be prepared if you order a pair. Considering how thin the sole of the DASH RunAmoc is, it is stiffer and provides more resistance to bending than one might expect. This means that the ground feedback provided by this shoe, while still excellent compared to a traditional shoe or even many other minimalist shoes, is reduced relative to, for example, a Vibram FiveFingers with a classic sole, or, if you prefer, a moccasin with no rubber sole. The RunAmoc is still flexible enough to move naturally with the foot, though, and when combined with the extra wideness of the toe box, provides for a good barefoot approximation. 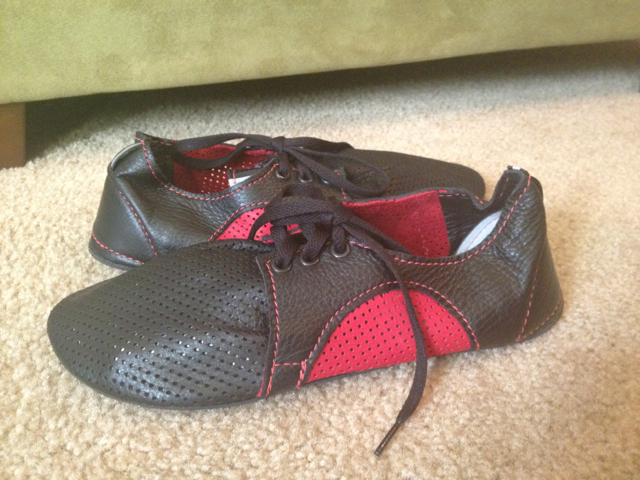 As I mentioned before, the DASH RunAmoc is an unusual-looking shoe. On first sight, this shoe was not quite my cup of tea. Soft Star has definitely chosen to focus on the functionality and comfort of the shoe over style, which is not at all a bad thing because it does excel in those two categories. 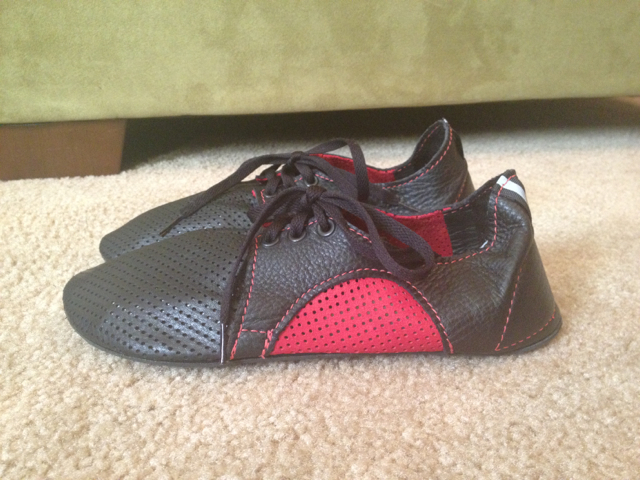 However, now that I’ve been wearing the shoes for a couple weeks I have to admit that they are starting to grow on me. The sole is very similar to a huarache, while the upper part looks like a floppy bowling shoe with a very wide toe box (a different color combo might minimize this). Because I’m so tall and have relatively large feet for a woman (size 11), the shoe does look a little clownish when it’s off because of the extra-wide toe box. 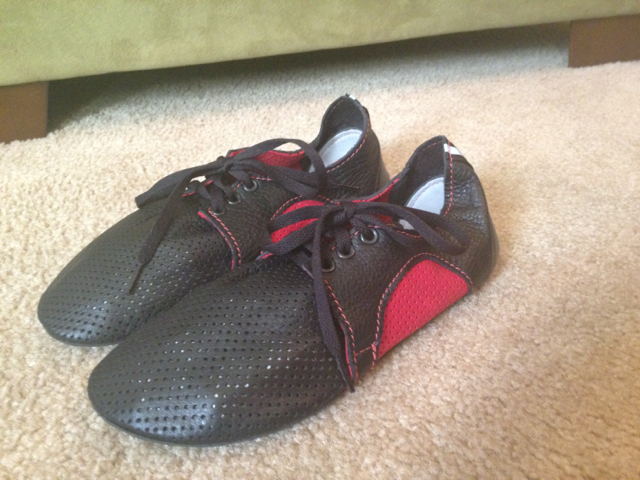 Once you pair them with some black running pants or tights, though, the shoes don’t look out of place and they’re so awesome to run in that any qualms you might have will quickly dissipate. 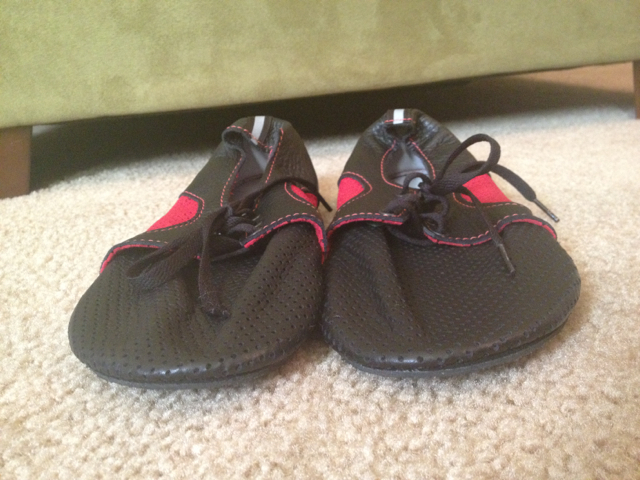 The moccasin, like the huarache, is one of the most ancient and minimalist forms of footwear in existence. The DASH RunAmoc really embraces the comfort and functionality of the moccasin, while giving it a more modern appearance and a little more under-the-foot protection for running on pavement or on a trail. If I were to order another pair, I would definitely go with the Design Your Own option, which allows you to put together some pretty snazzy color combinations (like the pair seen in the photo on the right). Overall, the DASH RunAmoc is a great minimalist shoe, especially for those who prefer a more handmade or natural approach to their footwear. Soft Star has several other casual and running-oriented moccasins that I hope to check out in the future, including some that have a more traditional moccasin appearance and a cute pair of Mary Janes!